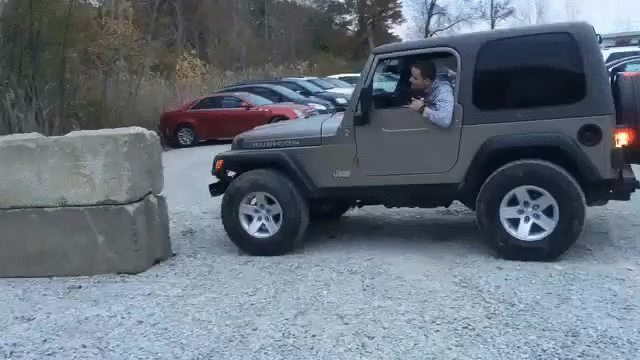 I'm going to show off the torque on my Wrangler, WCGW? My dog does this when he wants his belly rubbed. Edit: Yes my dog knows how to roll down the window.